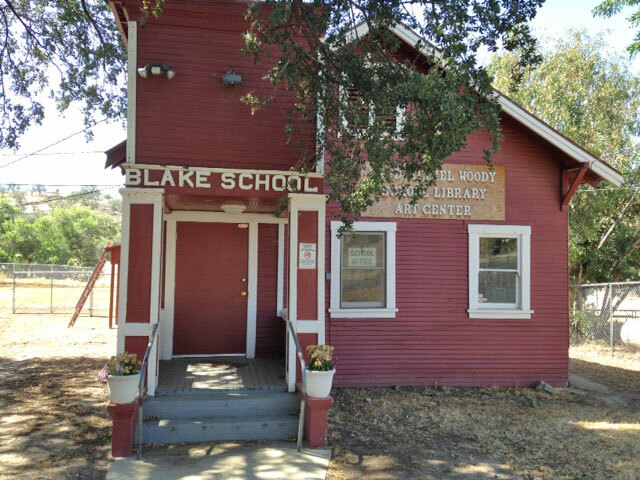 Since 1873, The Blake School has offered a free, public education to the children who live and work on the ranches of Woody, CA. In those early days, it was both mining and ranching that brought people to the foothills, but the mining played out quickly and soon this community became a land of barbwire and cattle. In this land of short grass and rolling foothills, water has always been of utmost importance. In 1929, the Blake School teacher, Mary Margaret Cardoza Hughes wrote, “Water was quite a problem this year. The school had a well with a windmill and tank, but at times the water was too low for the windmill pump to pull it up, or the wind did not blow for days. Sometimes we got water with a bucket on a rope and sometimes one of the trustees, Margaret Brown, brought a milk can of water for drinking water.” In a time of big families, with many couples having five or more children, one family moving into the community could radically change the dynamics of the school, often preventing its closing due to low attendance. The times have changed, but the small community of Woody and the Blake Elementary School has remained the same little ranch town. 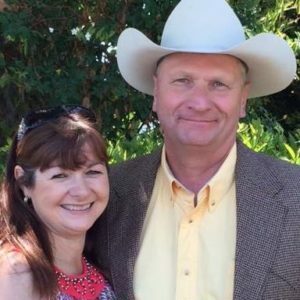 My job, as the Blake School Secretary, is completely dependent on the success of the local ranchers in our community and the family and workers who come to work on the ranches. Of the 11 students who will be attending Blake School in fall, 10 have parents who work for, or own, ranches in Woody. 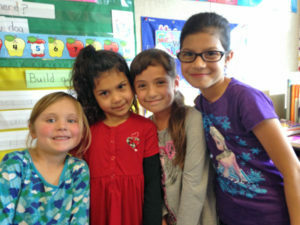 We have a 50% English Language learner ratio, meaning half of our students come from Spanish speaking homes. We still face many of the same challenges as Mary Margaret Hughes faced in 1929. Our water is now drawn from a submersible pump that flows to a 2500 gallon tank, but come August and September we always face issues with a very low water table putting us at risk of having to close the school or drill a deeper well and hope it finds water. This year will be our most challenging of all as we have endured 4 years of extreme drought with nothing to bring up our water table. Our playground lawn is brown and we have added pressure assisted toilets to the classroom to save on water, but the threat of no water is real for us everyday. We hope that our families are able to withstand the drought and that their jobs and livelihoods will be secure here, but we realize that without water, ranchers are forced to sell or move cattle out of the area. Without cattle, there are no jobs, no income for our families and they will have to leave. Not only does my job depend on ag, but the tradition of small school education in Woody depends on Agriculture. 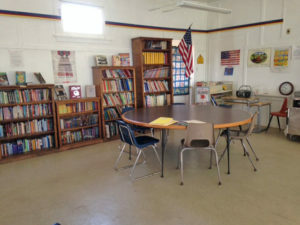 We teach agriculture in our classroom every year. Our students have a very hands-on experience both at home and in the classroom in agriculture. They learn the importance of water usage, ground development and preservation and rotation, animal health and welfare, crops that are grown in California and how it effects our economy, livestock handling and even crop growth and maintenance in our own school garden. For us, over 100 years of education depends on every drop of rain. We know that we are educating our future ranchers, farmers, business owners and public servants. However jobs depend on agriculture. If we cannot ranch, we cannot teach. very good article Erin. Great job. You folks at Blake School do a very good job not only educating the kids but keeping the school going..it takes all of your staff to keep the doors open and the school running!